We are located in the Yellowstone Medical Center East Building, Parking Lot Level Suite 3 East. 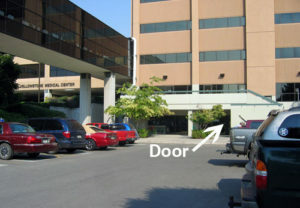 You can reach our clinic from inside the East Building of the Medical Center, taking the elevator to the Lower Level. You can park in the parking lot south of the Medical Center East Building. Our office is right inside the windows that are on the parking lot level, under the skybridge. There is handicap parking right near our door also. Looking for an estimate? Click here to get started!